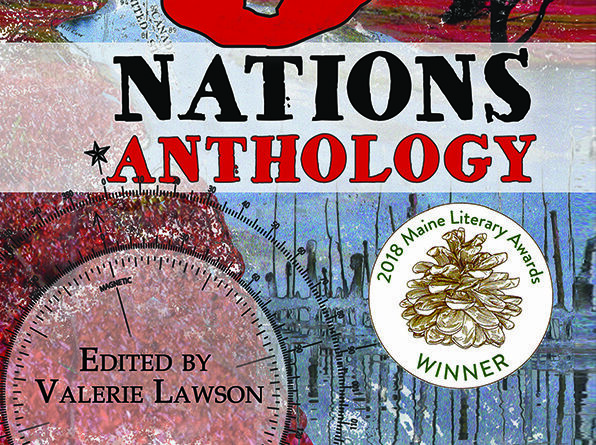 BAR HARBOR — On Thursday, Sept. 13 from 3-5 p.m. the Abbe Museum in Bar Harbor will hold a reading of the 2018 Maine Literary Award winning “3 Nations Anthology: Native, Canadian & New England Writers” edited by Valerie Lawson from Resolute Bear Press. “3 Nations Anthology: Native, Canadian & New England Writers” focuses on the northeast United States and Atlantic Canada, where people share borders, blood and heritage. The land is disputed in places (in others the US and Canada share responsibility) and Tribal Lands reside as sovereign nations within their borders. The poems, essays, and short stories in this anthology explore the things that divide, the bridges between, and the intense love of this rugged region the people hold in common. Authors of “3 Nations Anthology” range from first time publishers to a Pulitzer Prize nominee. Readers at the Abbe Museum will be Lee Sharkey, Karin Spitfire, Sarah Xerar Murphy, Jason Grundstrom-Whitney, Patricia Ranzoni, Bruce Pratt, Jeri Theriault, Sonja Johanson, Cheryl Savageau and Carl Little. The reading will be held at the Abbe Museum in Downtown Bar Harbor, 26 Mt Desert Street. This event is free with admission to the downtown location and will be hosted in the Community Gallery. For questions about the reading, please contact educator@abbemuseum.org. More information about the “3 Nations Anthology”, Resolute Bear Press, and readings and events can be found at www.resolutebearpress.com or contact Valerie Lawson, valerie.lawson@maine.edu or 207-454-8026.